From the beginning of March 2018, a new European bookmaker by name 1хbet began to operate actively in Nigeria in other to bring more compatible ways of betting and more sports betting to Nigeria. 1xbet sports is a Russian sportsbook, which aims to provide one of the most comprehensive online betting sites on the internet. The site was established in 2012 with over 1,000 betting shops around the world, 1xbet has plenty of experience in betting sector. 1xBet is characterized by an incredible range of options which are intended to make it stand out from the crowd. The website is available in staggering 42 languages such as (English, French, German, Latin, Russian, Spanish, Portuguese, Polish, Arabic, Chinese, Hindi, Korean, Turkish, Vietnamese and so many other languages) and it accepts many different currencies, including Naira and bitcoin. 1xBet Sportsbook includes over 1,000 events daily and as well as being one of the first to price up events, 1xBet also offers some of the highest odds. You can bet on a variety of popular sports: football, tennis, basketball, volleyball, ice hockey, golf, boxing, handball, American football, hockey, baseball, table tennis, biathlon, Aussie rules and bandy. We also offer bets on cricket, snooker, Formula 1, cycling, ski jumping, curling, floorball, inline hockey and water polo. With 1xBet, you can bet on more than 1,000 sporting events every day including interesting Nigerian leagues. Currently, 1xBet in Nigeria runs online betting platform (1xbet.ng) and has opened a few numbers of betting shops in Lagos state and it is also planning to spread its betting shops across the nation. At the moment you can deposit and withdraw online and also you can redeem your winnings from the betting shops. 1. You can bet from anywhere and at any moment of time provided that you have internet on your mobile phone, tablet or computer. 3.You can bet with either currency or cryptocurrency including Naira. 5. A huge number of sporting events every day. 6. Very high coefficients, which increases the chance of winning. 7. Online support 24/7 in English. 1xBet has developed apps for Android, Windows and iOS, making it fully mobile compatible. The website is logically laid out but feels a little cluttered and confusing. 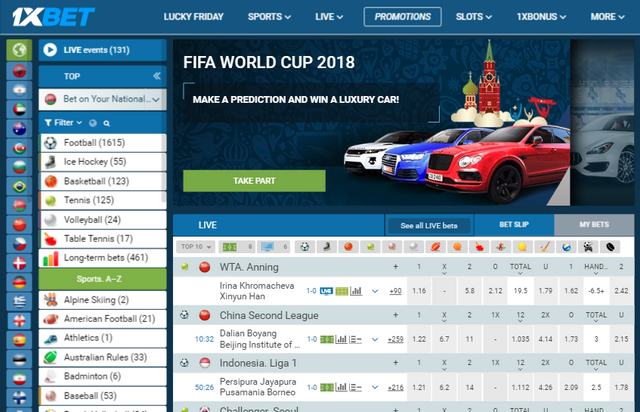 This may be because there is so much to choose from 1xBet, but beginners may struggle, and even experienced online punters might take some time to get used to the user interface. Apart from sports betting, 1xBet offers so many varieties of games such as Casino, Slots, Poker, Virtual Sports, Tv Games, Bingo, Toto and 1xGames. whereby 1xGames is exclusive to 1xbet. 1xGames consists games such as Durak, 21, Lucky wheel, 1xwheel, 1xdice, 777, Under, over 7, Apple of Fortune and so many other interesting games. In a separate section of Slots, there are more than 20 such well-known gaming providers such as NETENT, MICROGAMING, PLAY’NGO and others. Do you like playing online casinos? On the site you will find a wide variety of live casinos (Evolution Gaming, Grand Virginia, XPG). When it comes to flexibility, 1xBet is at the top, it a has a Cryptocurrency version of its website (1xBit.com) it gives maximum flexibility for its cryptocurrency users to deposit, place bet, and withdraw in bitcoin. 1xbit also offers all the games and sports and as well as all the bonuses and promos in 1xBet in other words we can tell that 1xBit is the bitcoin version of 1xBet. Registration is one of the easiest thing that you can do in 1xBet website. However, you can either use a telephone number or an E-mail to register in other to get started. As soon as you register you can go with verification process or you can simply start placing your bets and later do the verification. With so many different languages and currencies accepted, 1xBet is quickly gaining more and more customers who appreciate the diversity. Multiple payment methods are also accepted, and this makes it much easier to deposit and withdraw money wherever you are in the world. No charges are made for deposits or withdrawals, although some payment operators add their own transaction fees. Withdrawal of funds are also one of the simplest things that you can do on the site. it takes 1 – 5 working days (depending on your payment system) for the money to come into your bank or any payment system. 1xbet is fast-growing, gaining popularity in the countries of Europe sportsbook. For the Nigerian market its one of the best bookmakers. There are limited opportunities to make deposit through mobile phones but 1xbet already has MTN pay and interswitch. 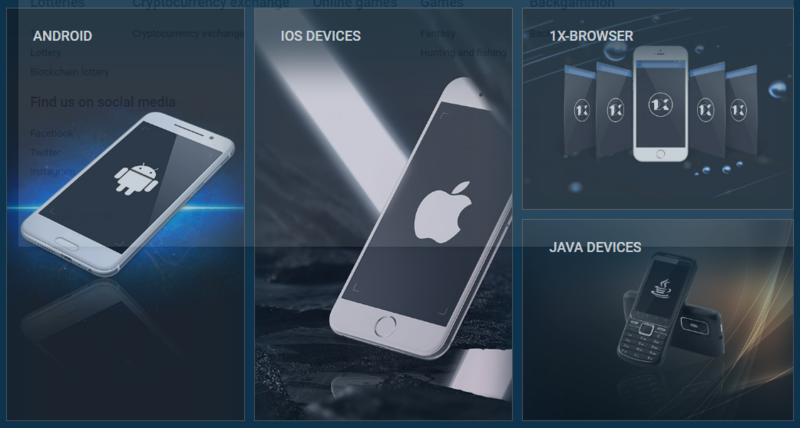 The main advantage is high coefficients, which cannot be found in branch offices, Convenient mobile version, the availability of Android app, support 24.7. Rating of the bookmaker: 4.5 out of 5.